My second day in New York was spent exploring Central Park. After so much walking the day before and fitting in so many different sights, I wanted to have a slightly more relaxing day. 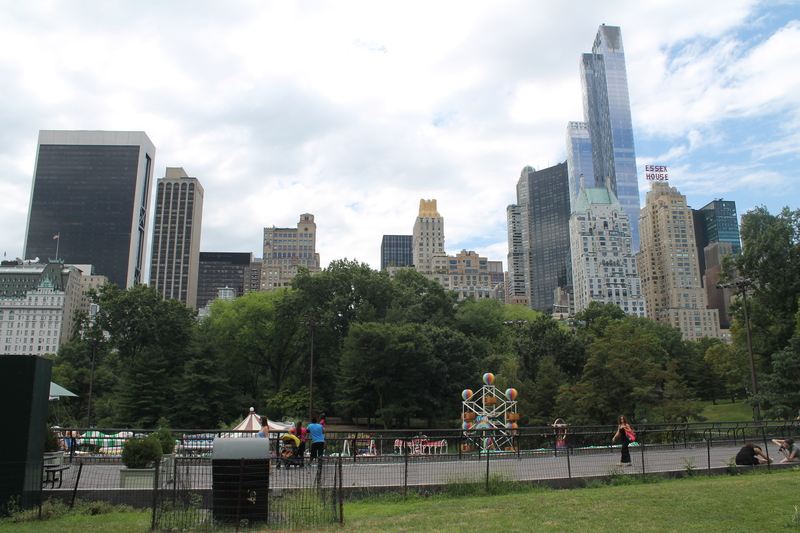 Besides, Central Park is so large and has so many different aspects, that it was almost impossible not to want to spend a whole afternoon there! Central Park is of course one of the most famous of New York’s attractions (not surprising since it’s one of the most filmed locations in the world). The park is made up of 843 acres, the land being set aside in 1856 when the area still made up the northern fringe of the city. The park was designed by Frederick Law Olmsted and Calvert Vaux in 1858, after they won a design competition. They titled their plan the ‘Greensward Plan’, which incorporated a naturalistic style including winding paths and relaxing ponds. 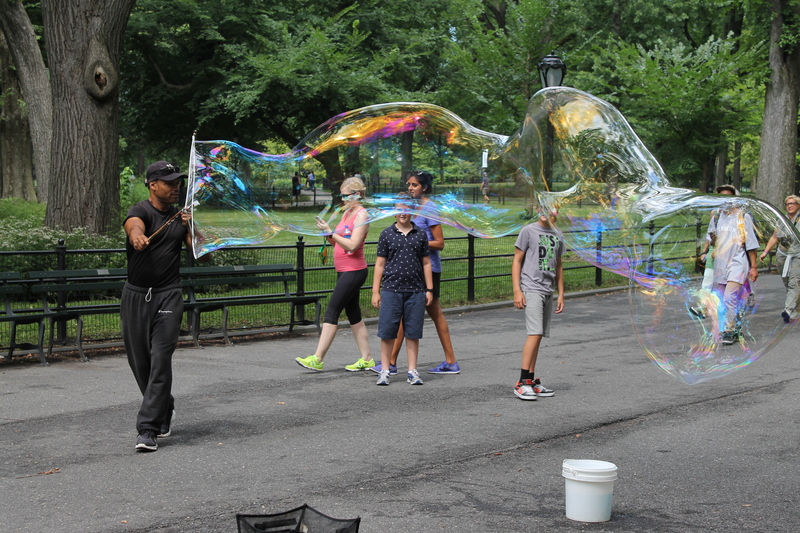 In 1962 the park was designated a National Historical Landmark and today is the most visited urban park in America. 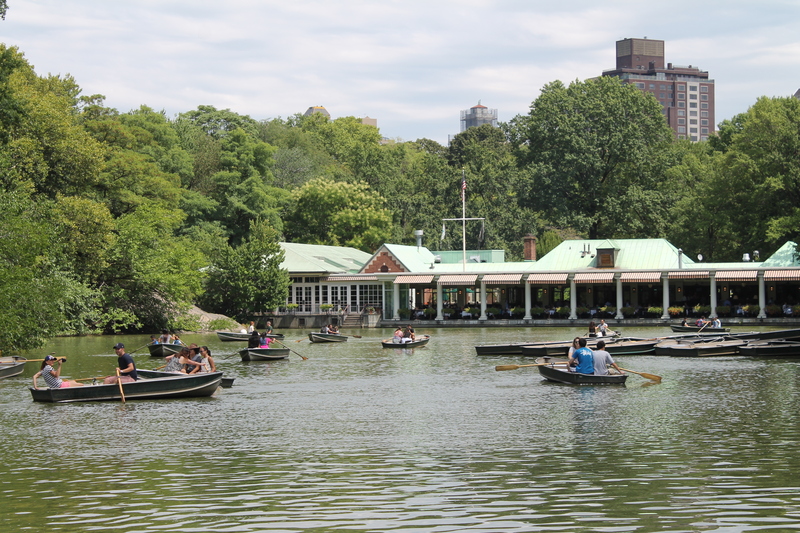 I entered the park from the Southern end, which meant that I soon came across the Central Park Zoo. I have to admit that I was quite tempted to pay it a visit. After all, it’s a zoo in the middle of New York City! However, I decided that it could wait for another day. I’m sure that I’ve seen most of the animals that they have there, and I feel like zoos are much more fun when you’re in a large group of people. I wandered up the park, taking in the sights. 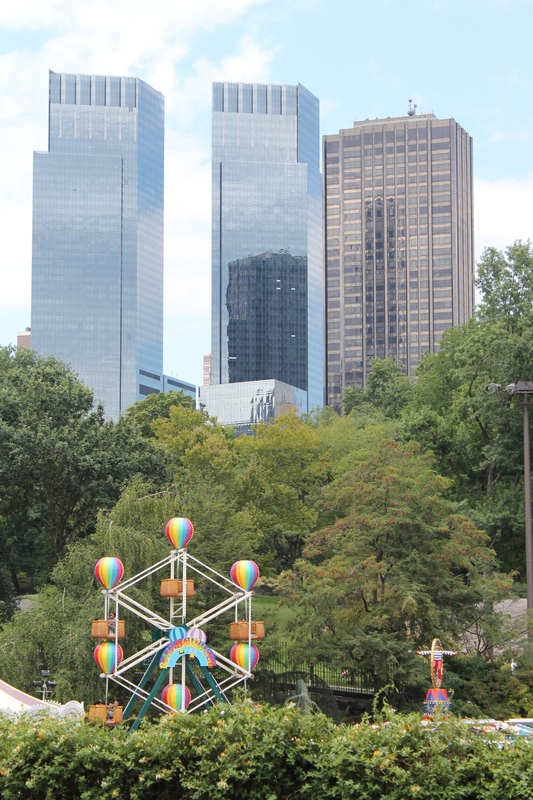 I passed a little amusement park for children which had some amazing views of the city behind it. 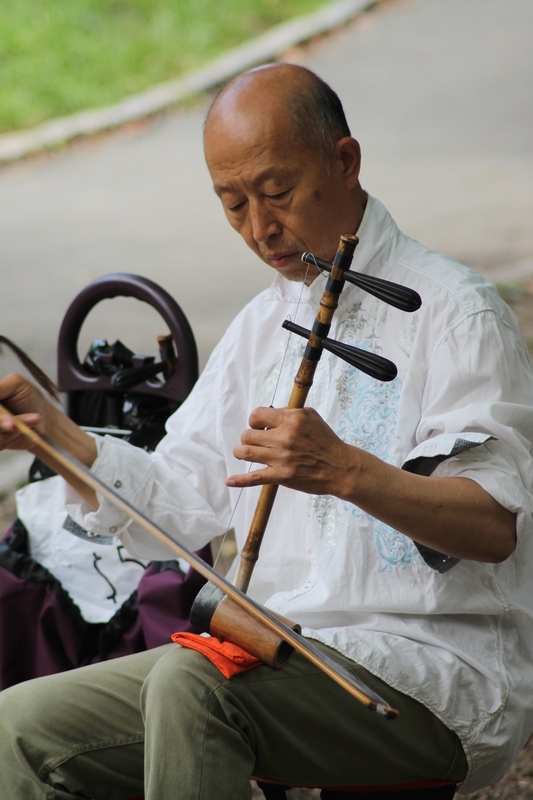 There were numerous musicians and street performers, stalls selling posters and paintings, artists creating caricatures, and places to buy snacks. I easily could have spent a lot of money buying souvenirs and art work, but sadly I have no room to take it home with me! For a while I just lay down in the sun and read, which was incredibly relaxing. As I’ve previously said, I love reading but sadly I didn’t have much time to do any whilst I was at camp. Reading whilst looking at all the skyscrapers towering above the trees was slightly surreal I have to admit. After watching so many films and tv programmes set in this amazing place, it was almost difficult to believe that I was actually there myself! After my read I continued walking until I reached ‘The Mall’ – also known as the ‘Literary Walk’. 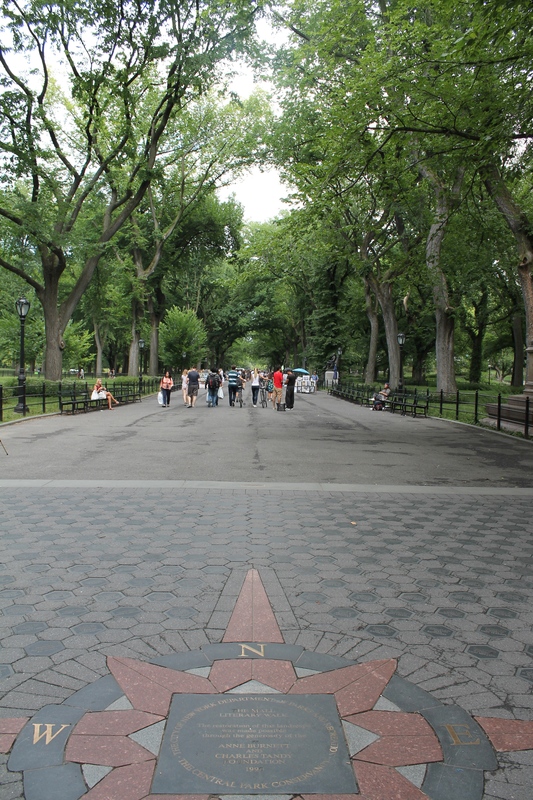 This path is the only straight line in the park, and is actually a Parisian-style promenade. It’s a beautiful walk, with statues of literati at the southern end (where I started from) and is lined with North America Elm trees, which are apparently quite rare. At the end of the Mall I came to the Bethesda Terrace and Fountain. This is one of the largest neoclassical fountains in New York – a term given to a Western movement in art, literature, music etc. that drew its inspiration from the ‘classical’ culture of Rome and Ancient Greece. At the centre of the Bethesda fountain is a sculpture of an angel designed by Emma Stebbins in 1868. She was the first woman in New York to receive a public commission for a major work of art. The fountain depicts a female angel, surrounded beneath by four cherubs representing Health, Peace, Temperance and Purity. The statue refers to Chapter 5 of the Gospel of John, where an angel blesses the Pool of Bethesda, thus giving it healing powers. The statue is also known as the Angel of the Waters and is, in my opinion, incredibly beautiful. I have to admit, I think that walking through Central Park was one of my favourite parts of my time in New York so far. It’s easy to see why it’s so popular with the residents of the city, as it truly does provide a breathing space from the busy streets which at times can almost seem claustrophobic. It was incredibly beautiful and if I’m ever in New York with an afternoon to spare I already know where to go! Someone told me that you can’t truly say you’ve experienced New York unless you’ve been to Central Park, something I now wholly agree with. Now all I’ve got to do is go back there in the Winter time and see it in the snow! Previous Previous post: A day of walking in NYC – part 2!